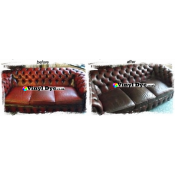 Restore leather by dyeing or re-colouring. 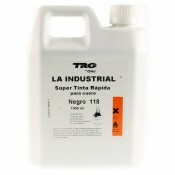 Suitable for use in car interior, furniture, clothes and other leathers. Leather re-colouring balm and leather dye kits. Dyes and restores leather, canvas and imitation leather. Does not crack or chip. 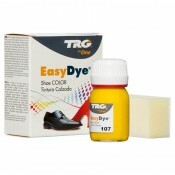 Fast colour which can be rubbed with a dry cloth. Wait 5 hours before using a damp cloth or wearing. Leather dye kits can be used to change from any lighter colour to a darker colour. Only one kit needed for a large handbag, or pair of shoes. For the professional that needs much larger quantities, such as a sofa.